Anything and everything you need to launch, develop or protect your media profile. Press releases, case studies, awards entries, market research, thought leadership, campaign planning, agency procurement support (and more). Ensuring that journalists get what they need while you concentrate on running your organisation. Managing and responding to enquiries, developing processes for your employees to follow, drafting stock responses and templates, providing on-call support. Words put together to portray the nature and attitude of your organisation, using exclusively plain English (or Swedish! ), and that will actually get read by the people you want to reach. Articles, whitepapers, blogs, annual reports, brochures, websites. Plus, associated services like proofreading, editing and tone of voice development. A good speech can captivate an audience – and we’ve all suffered bad ones. So if you’re preparing for a conference, event, lecture, debate or anything else where you need your words to grab and hold people’s attention, get in touch. A crisis can happen to any organisation, anytime. Handling the communications process in a crisis is vitally important but it can also distract you from solving the problem. 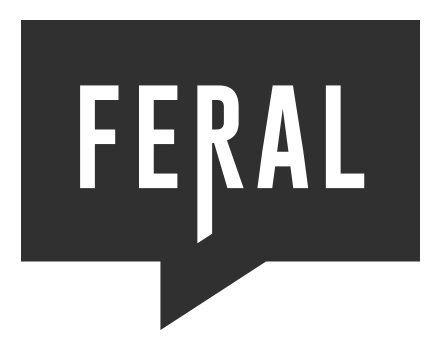 Feral can help with scenario planning, consultancy/training, on-call support, processes and planning, Q&A development and more. Whether you want to create a buzz, start a conversation or drive traffic, Feral can help with account set up and management, content, and audience targeting. Working alongside tech teams (in house or agency) Feral can deliver the coverage and links you need to drive traffic to your website and improve your organisation’s search engine rankings. An often-overlooked audience, your employees can be (and should be) your most loyal supporters. Effective and appropriate communication can turn ‘meh’ into ‘yeah!’. Feral can help with newsletters, intranet content planning and delivery, and employee engagement plans. If you have new team members, skills gaps or would like refresher courses, Feral can tailor a package to suit you, delivered at your office or a location of your choice. Courses could include: press office setup and management (with the option for ongoing on-call support), media training for spokespeople, writing (for various audiences/stakeholders: media, staff, partners, shareholders/investors, customers), planning and delivering campaigns, and more besides.